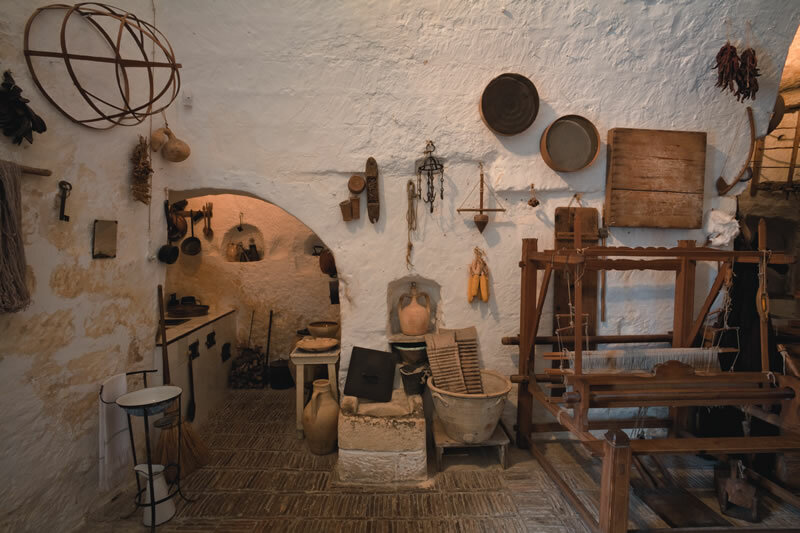 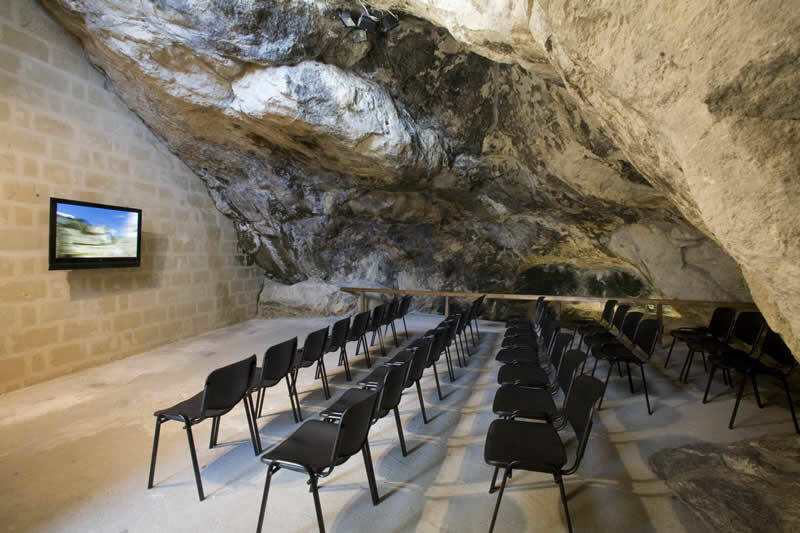 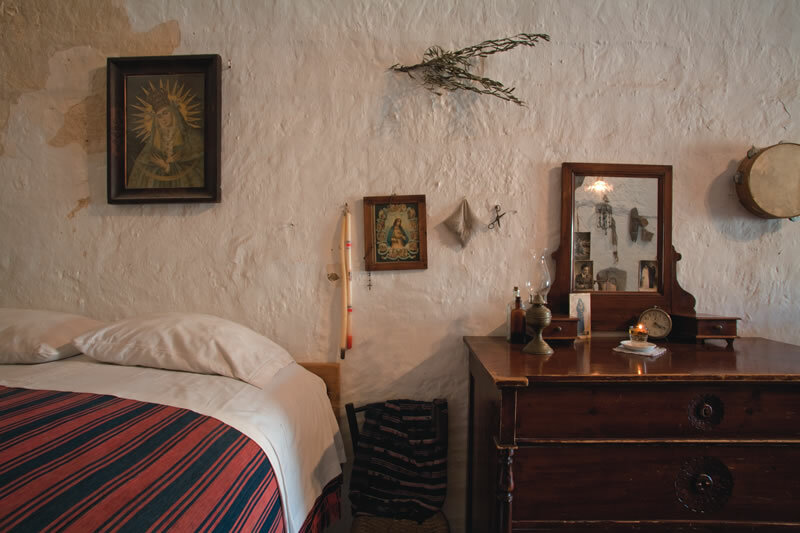 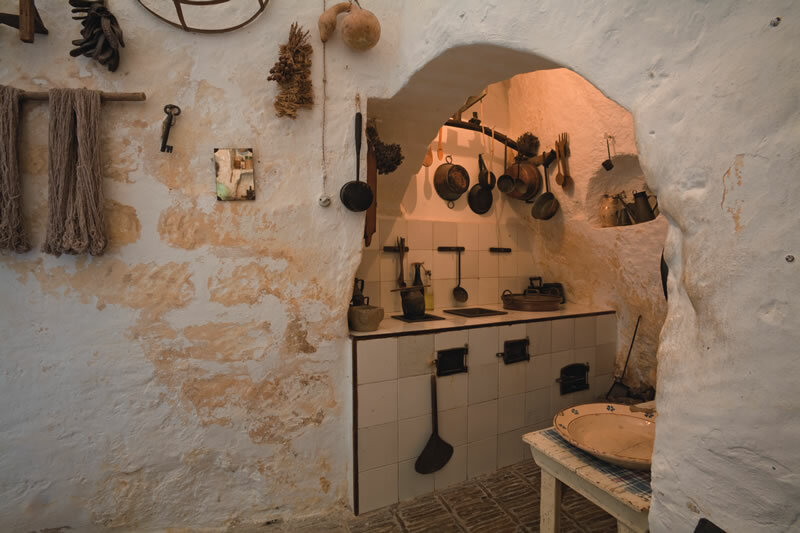 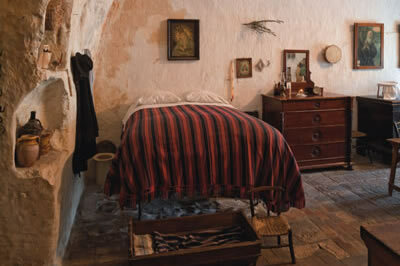 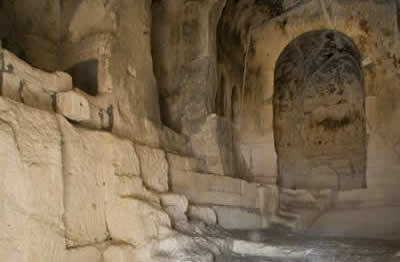 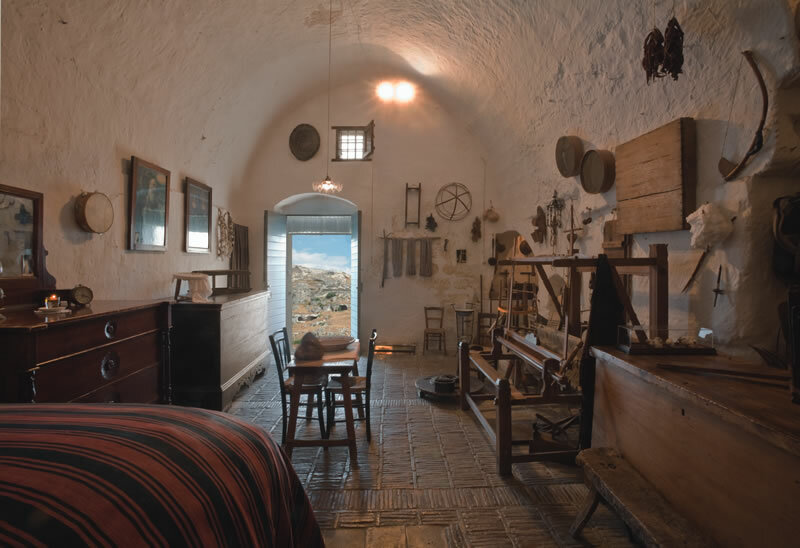 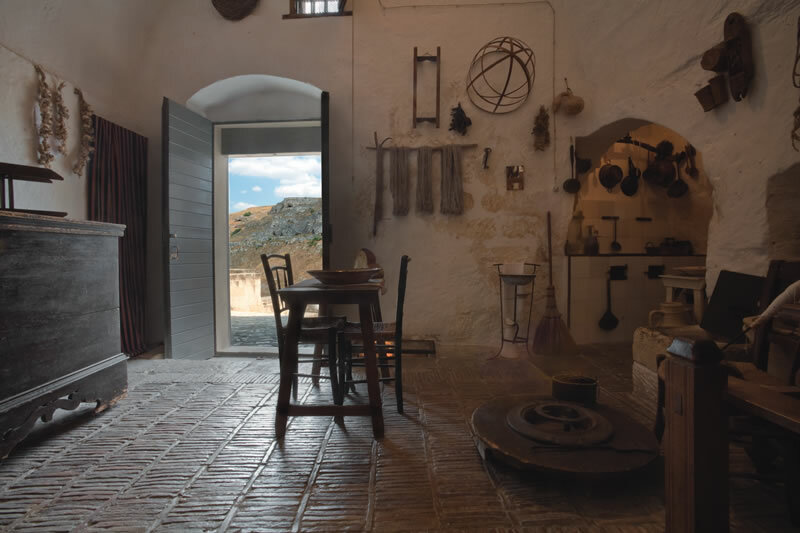 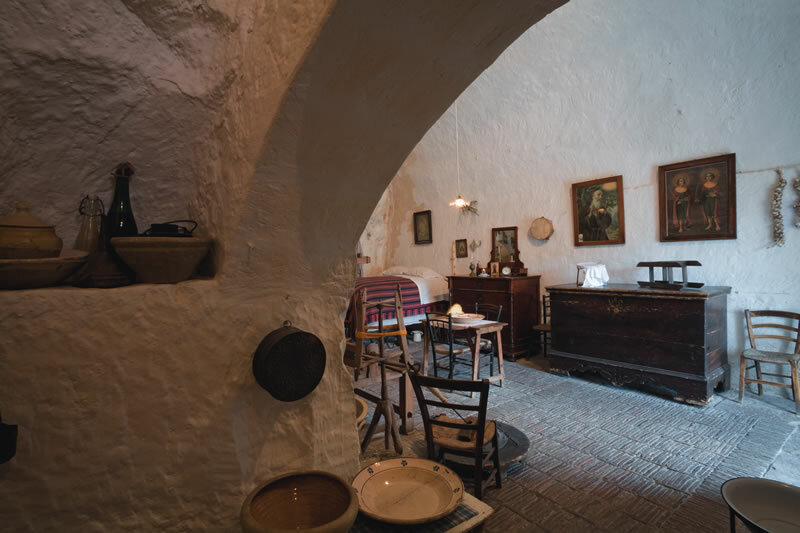 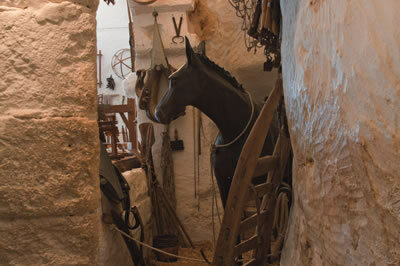 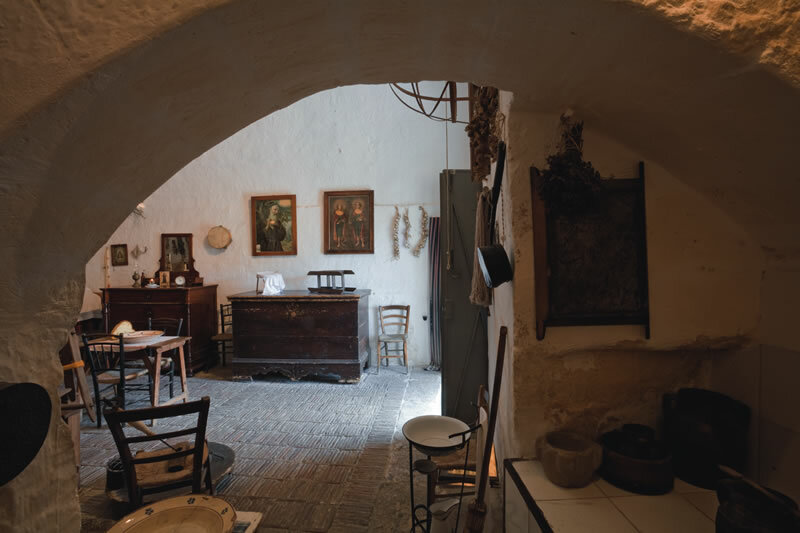 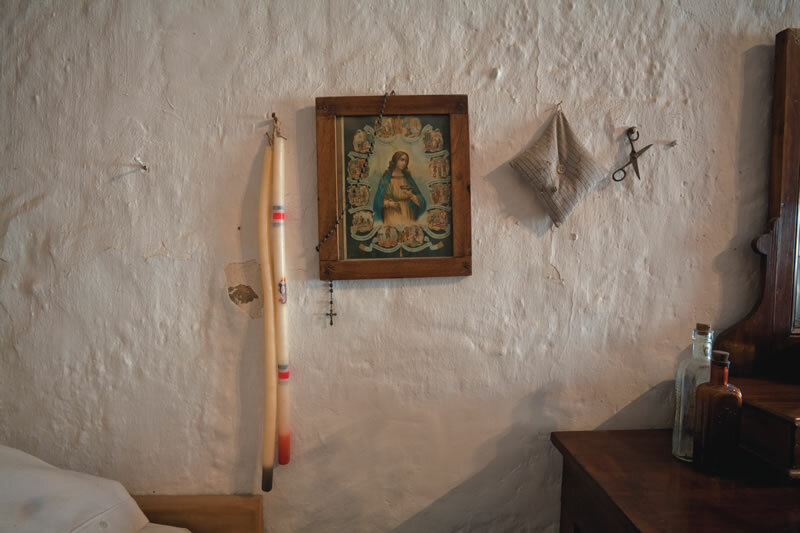 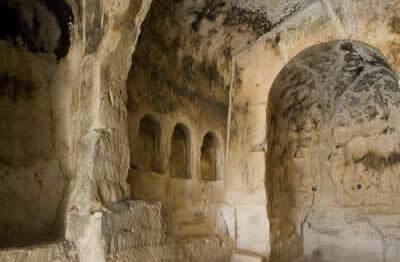 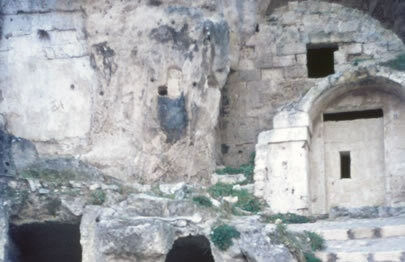 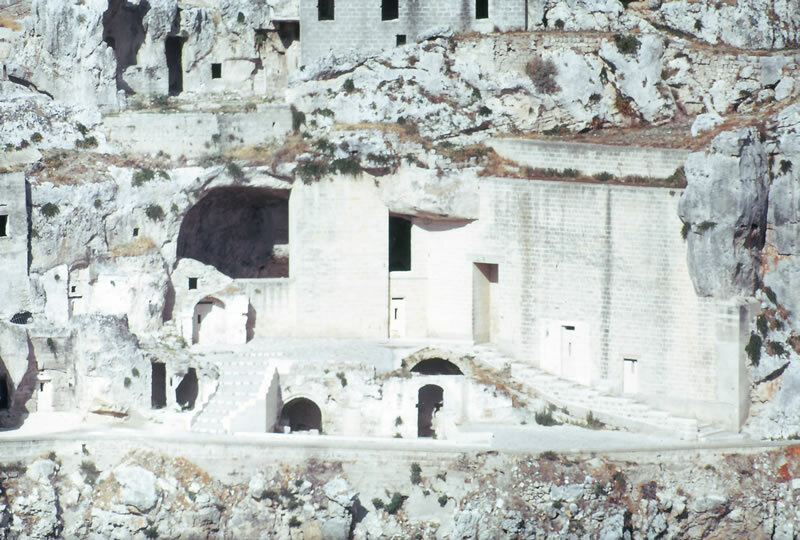 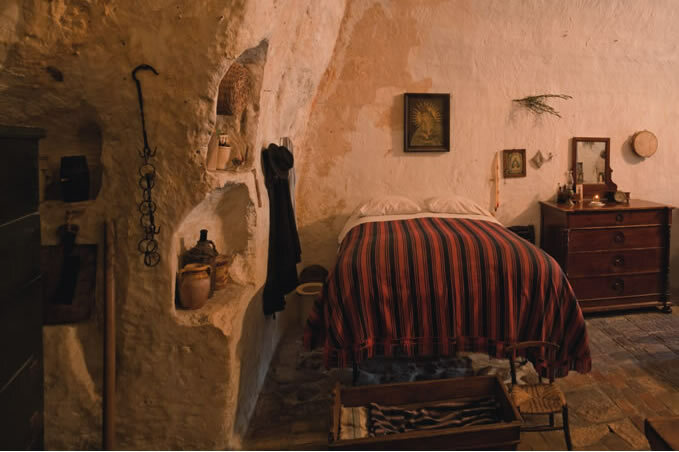 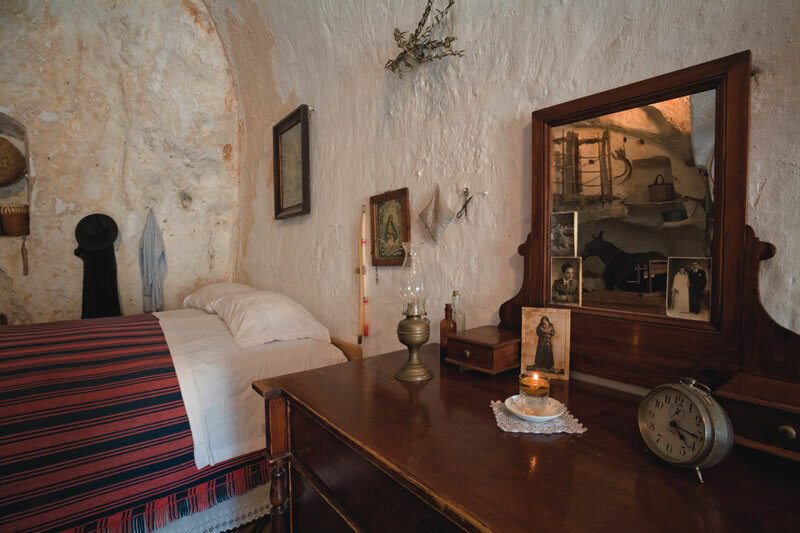 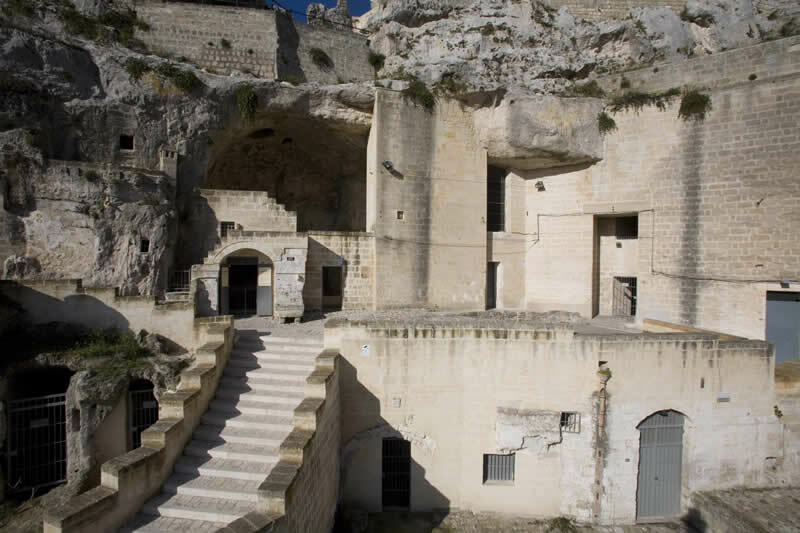 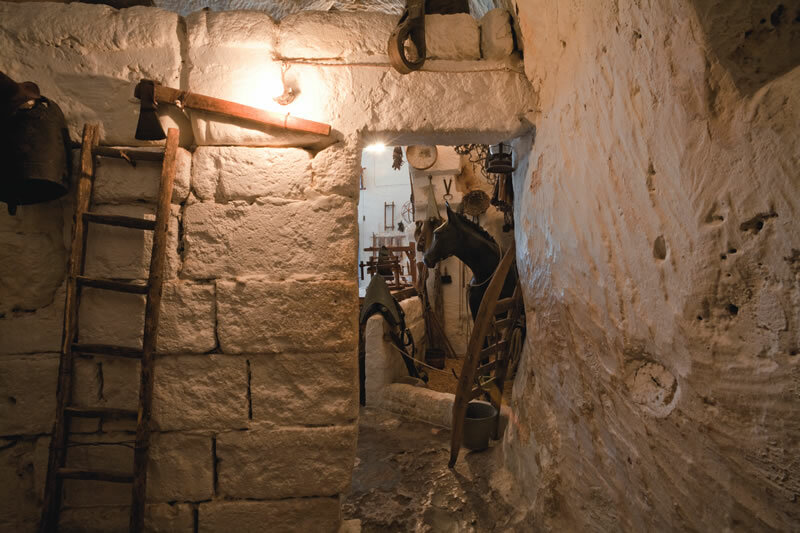 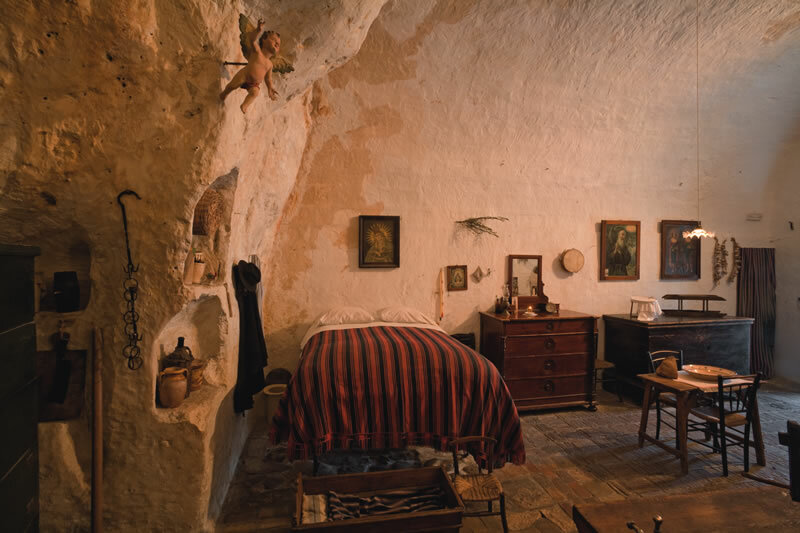 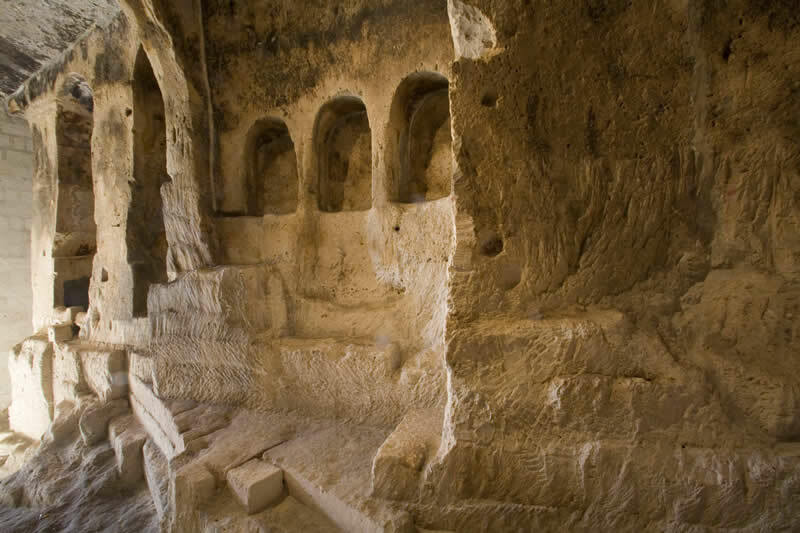 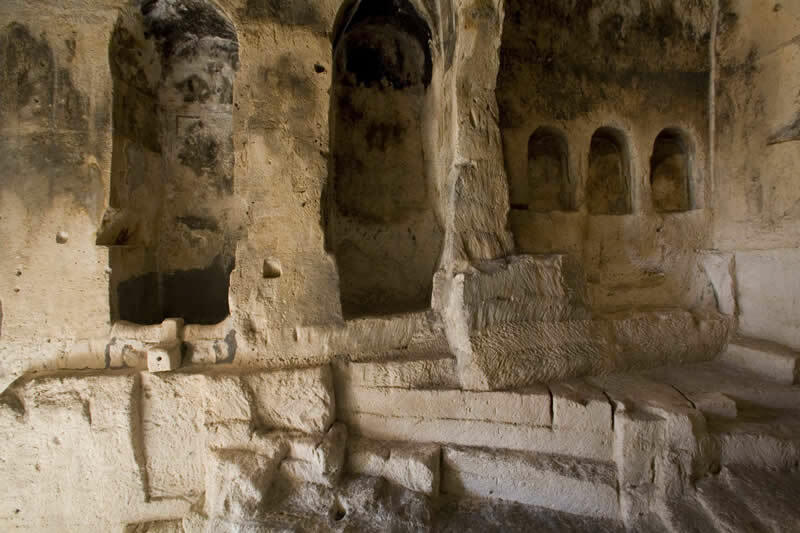 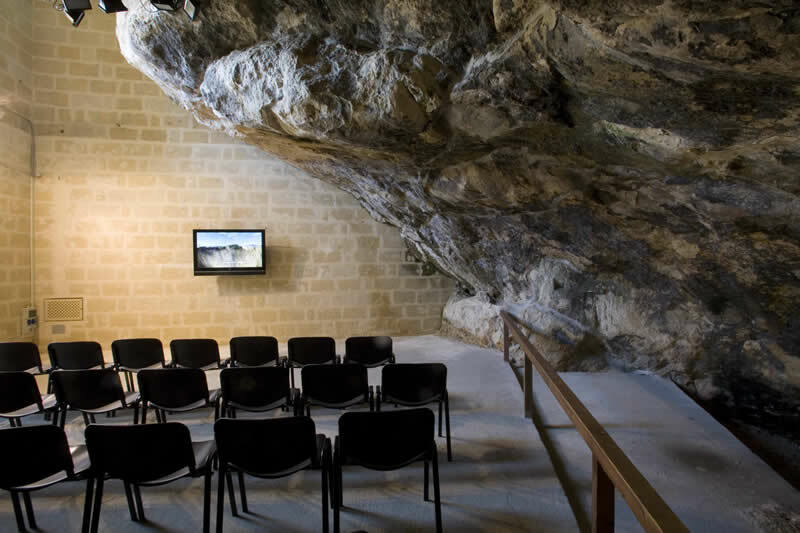 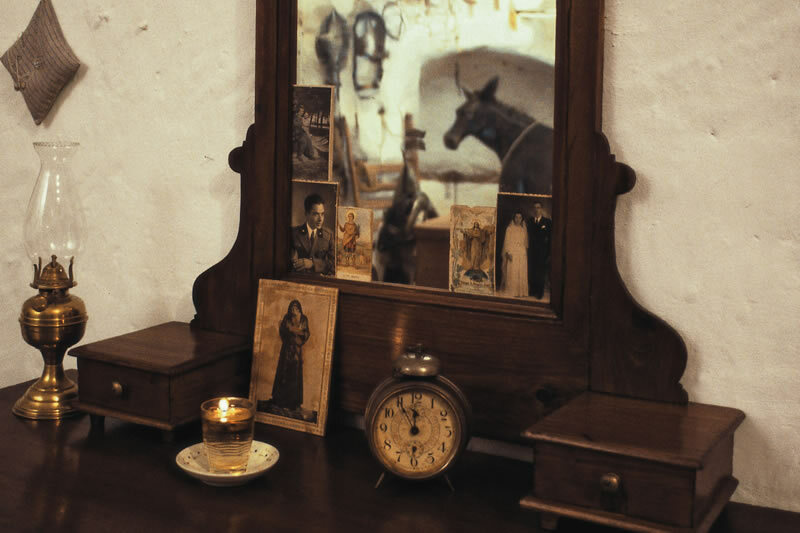 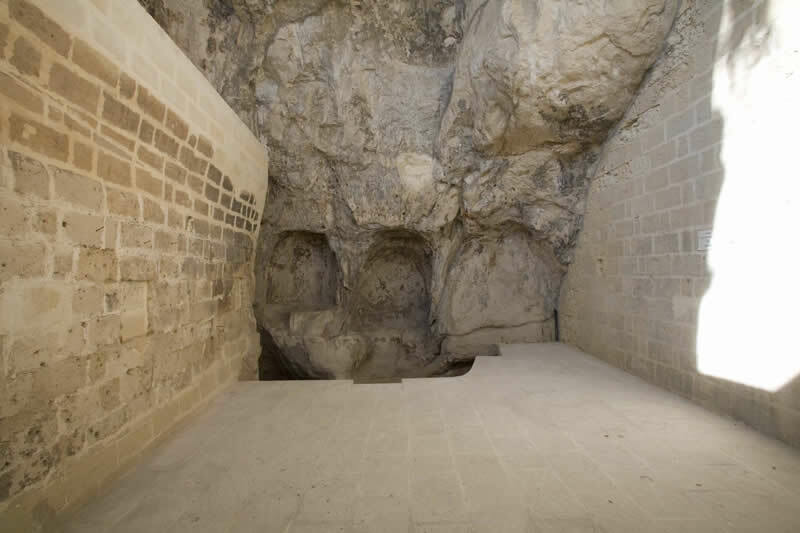 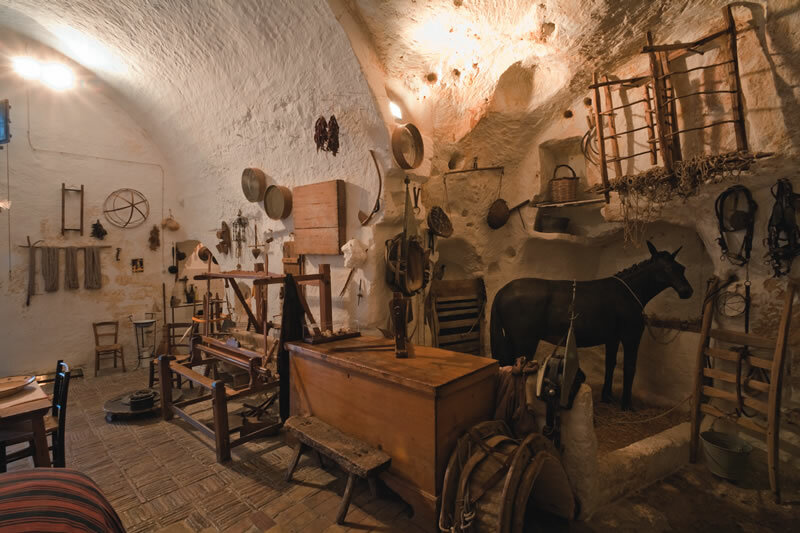 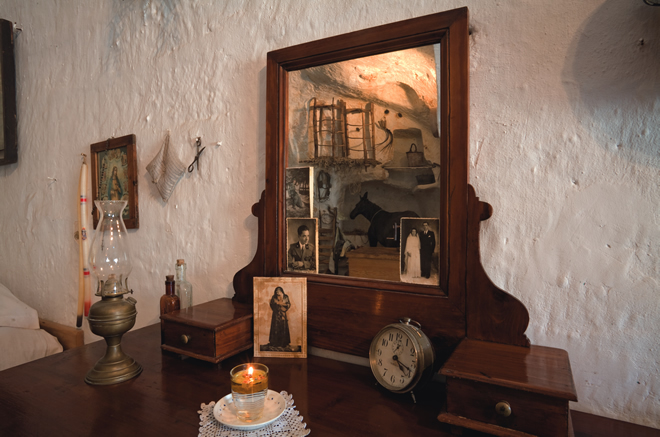 To see what a real peasant dwelling was like before the “Sassi” of Matera were abandoned, visit a typical cave dwelling with furniture and tools of the time in the “Sasso Caveoso”. 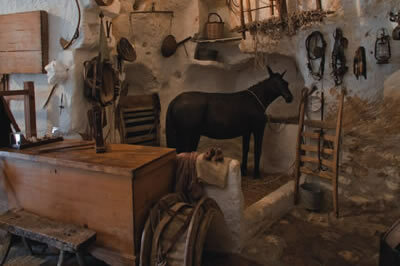 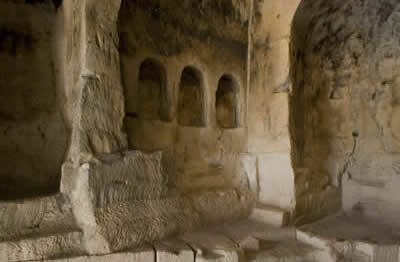 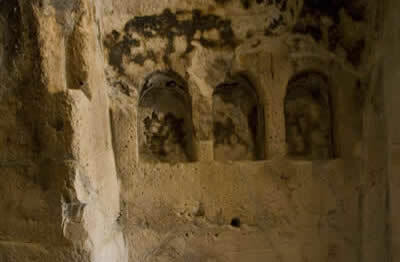 The description of the Cave Dwelling in English language is available inside. 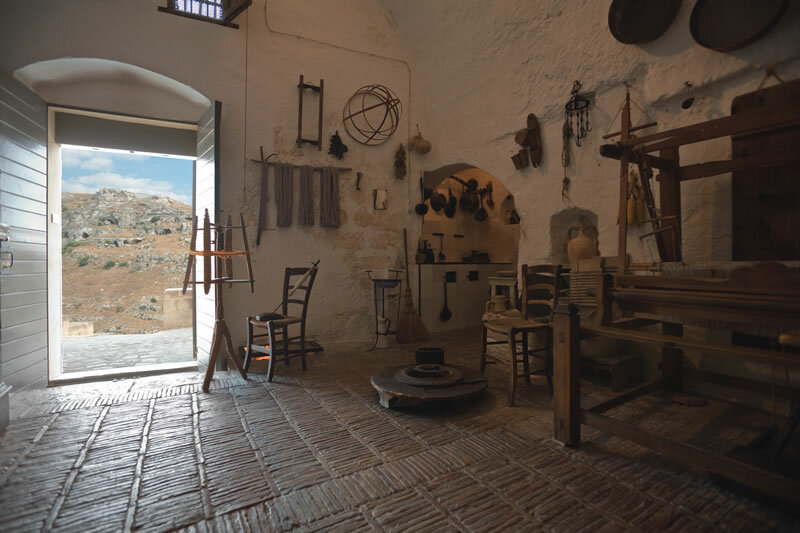 Open all year round. 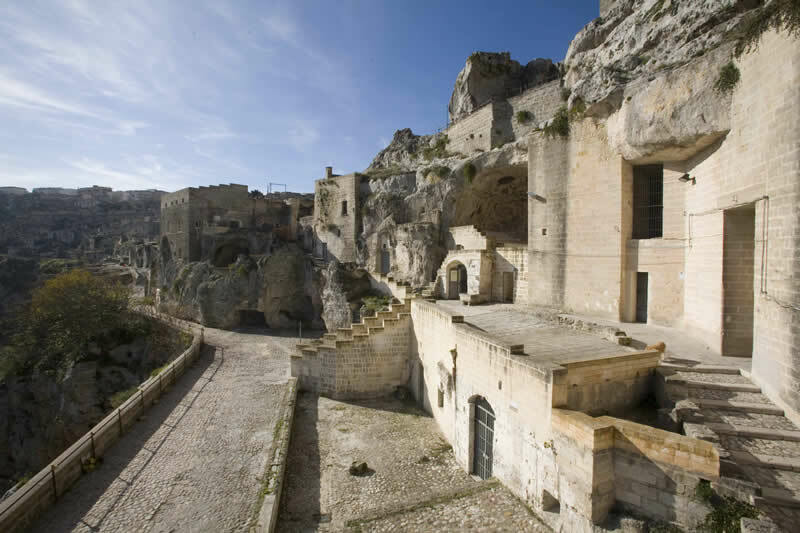 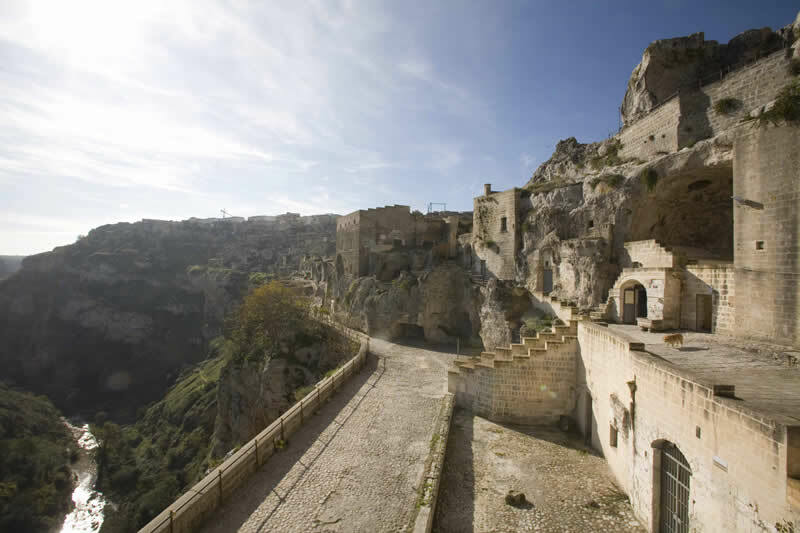 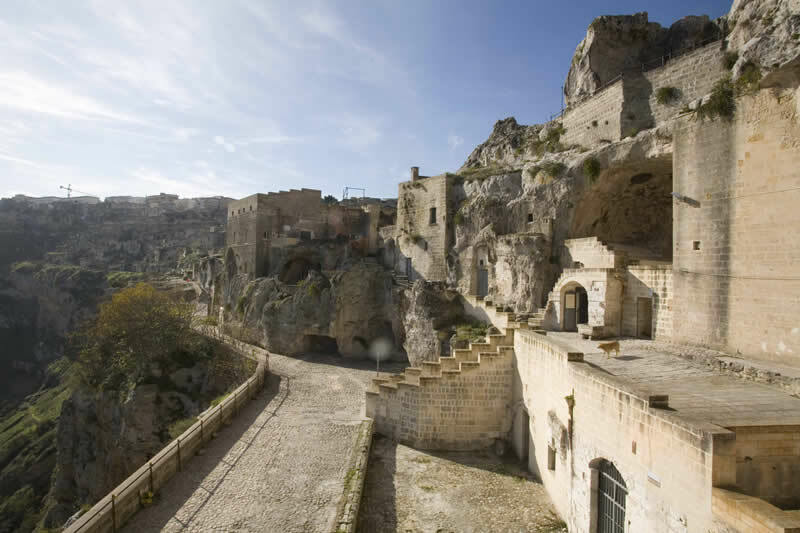 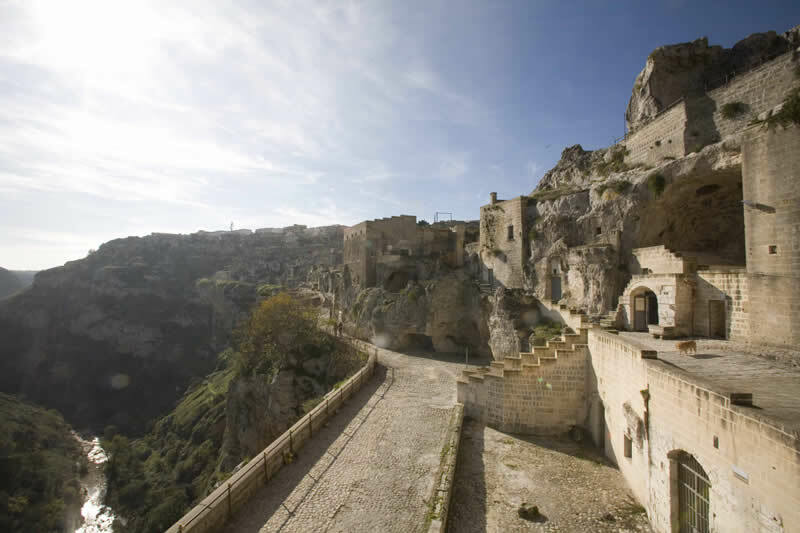 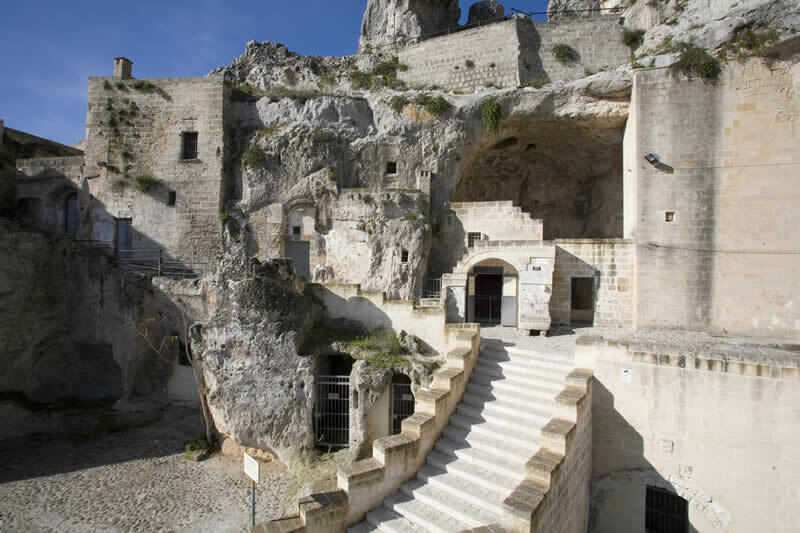 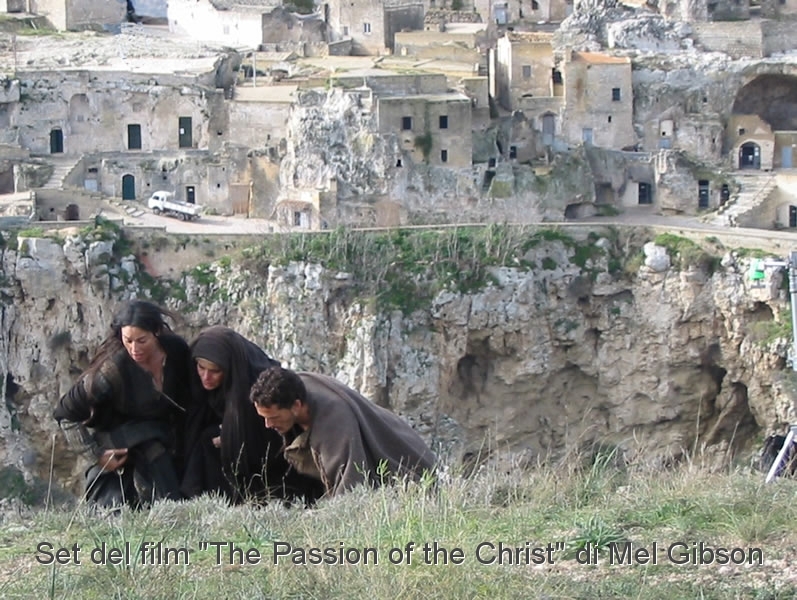 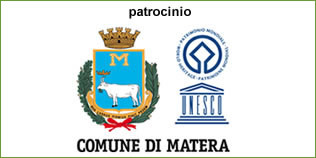 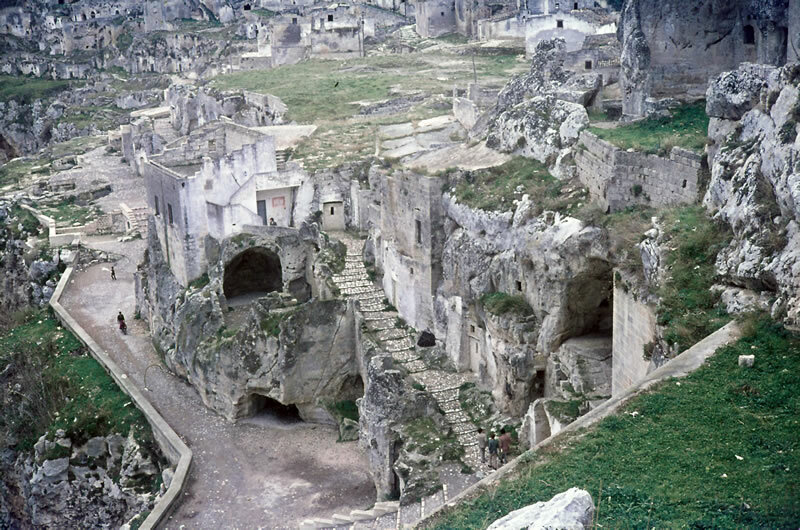 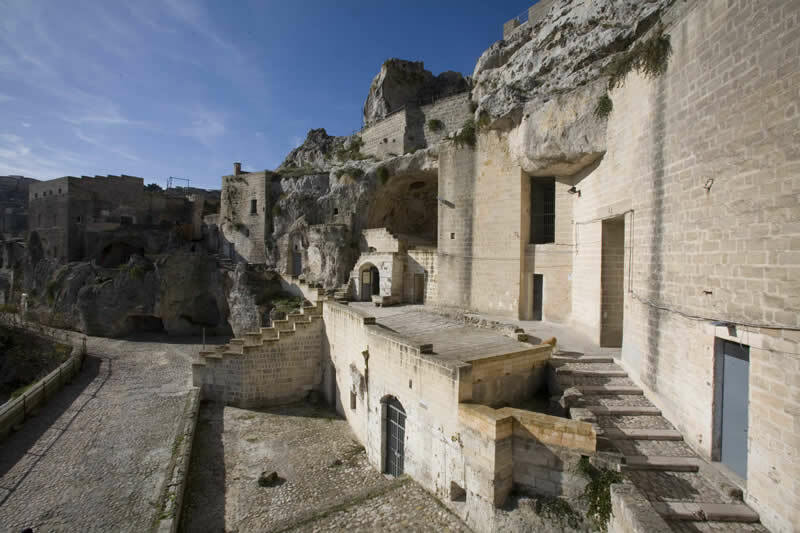 In order to gain a better understanding of the customs of the inhabitants of the "Sassi", the old town of Matera, before it was abandoned, you are invited to visit a peasant dwelling. 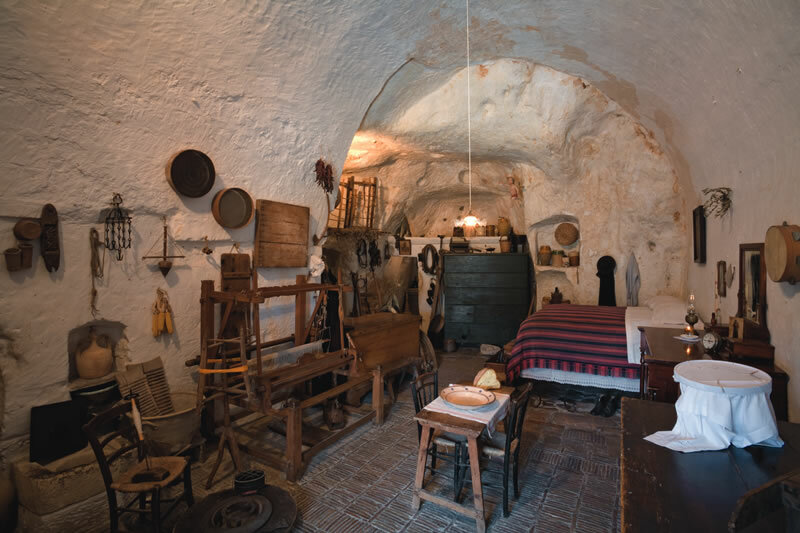 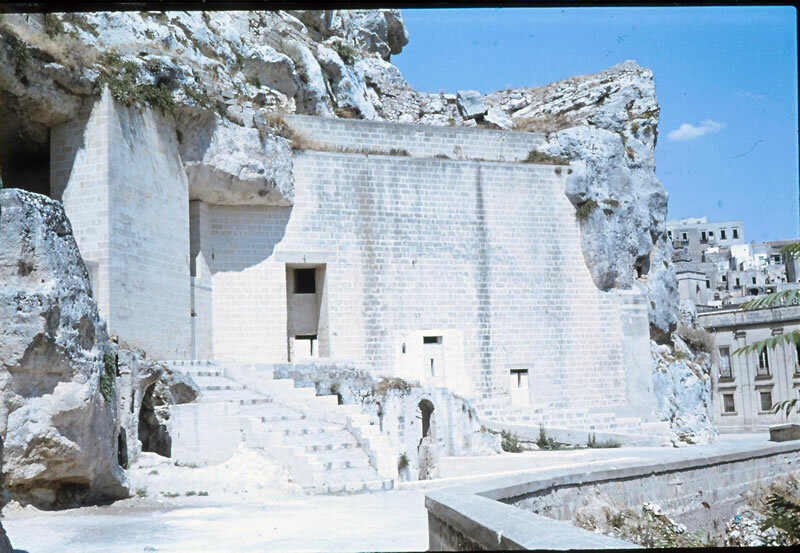 The habitant located in vico Solitario near the Church of San Pietro Caveoso is a typical cave dwelling with furniture and tools of the time so as to give a visitors an exact idea of how family life was organized in the households of the "Sassi".